Although it sounds incredibly serious, and painful, a cracked tooth can easily go undetected for quite some time. There may be no pain or symptoms associated in the beginning, but if allowed to worsen, your damaged tooth can become quite sensitive and may even throb with pain. The best method of detection is to maintain regular dental visits; but if you suspect there may be a problem, alert your dentist right away. There are several options for restoring a cracked tooth, and your dentist will decide which option is best for your specific needs. Most damage that occurs to your teeth is minor at first, but without treatment can quickly progress into something extremely serious. 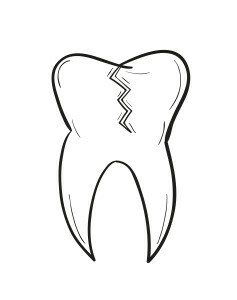 Small cracks and fractures can spread throughout your tooth, and eventually down into the roots. These tiny openings in your tooth enamel are a gateway for bacteria to invade your tooth’s pulp, leading to severe tooth infection or an abscess. If infection is allowed to accumulate for too long, damage to your jawbone and surrounding tissues can occur. The longer a damaged tooth is left untreated, the higher risk you run of serious and costly complications. Before any restorations are performed, your dentist will typically remove any infection that has developed within your tooth. In some cases, this means undergoing root canal therapy to save your tooth structure. However, if the damage is fairly minor, a simple dental crown or filling may suffice in providing a protective barrier between your tooth and further damage. 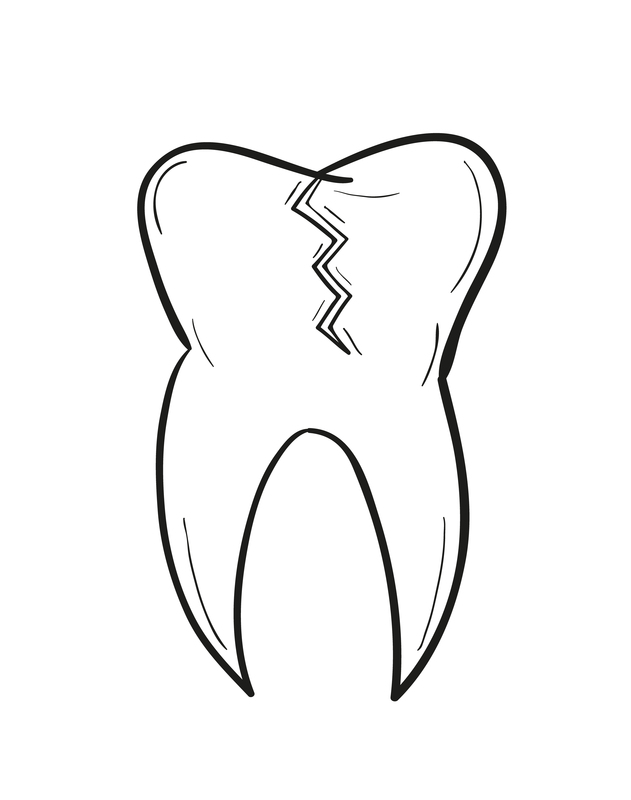 Unfortunately, if the crack in your tooth has spread down into the roots, a tooth extraction may be inevitable.